Wax casting wax artcast is specifically designed as a casting wax with very little shrinkage and perfect detail acquisition. You can easily make a mold fill with this was and delivering washing model at a foundry. This was obviously suited to the "lost wax" method. Our casting wax is specifically designed as a wash with very little shrinkage, excellent detail over and shape retention during ontmallen. The wax is solid and does not sink in the summer. Alternatively, you can use the editing tools diecast model. The wax is the foundry 100% uitstookbaar / uitsmeltbaar. The wax is melted at a temperature of 70 ° C and poured into an open mold. After a short period of solidification becomes the "still-liquid" was poured out and continues to be a thin shell of wax over. This process can repeat a number of times so that a desired thickness is reached. Avoid at all times that the wax is heated to above 100 ° C. If this is done, this can have a lasting effect on the properties of the wax. 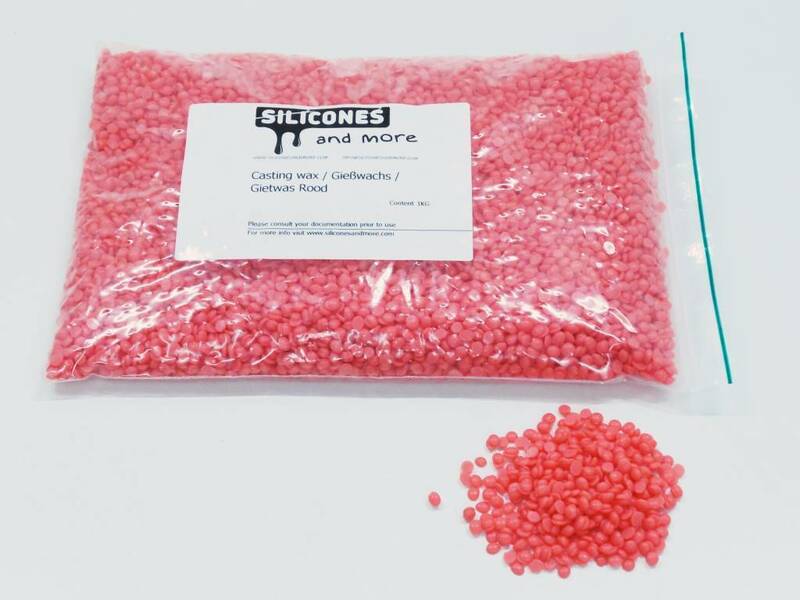 The casting wax comes in the form of small pellets the size of a pea and is packaged in bags of 1 kg. To prevent skin contact with the molten (liquid) form of this wax and avoid inhalation of gases / vapors.